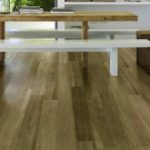 The use of wood effect plank floor tiles is growing in popularity and is one of my personal favourites when it comes to floor tiles. They are also just as decorative and trendy to use on walls. These tiles are available in varying sizes and finishes and both in ceramic and porcelain. There is an enormous choice when it comes to surface design, colour and texture and with them being so hard wearing, durable and easy to maintain, there is no wonder why so many home owners, developers, architects and interior designers chose such floor tiling finishes for their new build or refurbishment and redecoration projects. How large? Although with the growing popularity in large format tiles you would be surprised that not all tiling contractors will have at their disposal, a manual cutter big enough to cut a 900mm long tile down its length let alone a 1200mm long tile. Yes ok, all tilers should own a suitable grinder and diamond cutting disc which can cut through even the most, dense porcelain but this is not necessarily the professionals preferred choice of cutting nor is it the most effective method. Be sure to discuss your tile choices with any contractor you invite to quote you for the installation. How heavy? Put 6+ large format wood plank tiles in a box and see how heavy they are. Very! When setting out to purchase and arrange collection or delivery of large format tiles, especially porcelain, always carefully consider the manual handling risks. What pattern? Like with many tiles available on the market today, wood plank tiles can be installed in a variety of layouts. And more intricate fixing patterns are becoming just as popular and trendy as the tiles themselves. A random / running bond is deemed standard when it comes to wood planks, but a herringbone, diagonal herringbone layout is not so standard and is more time consuming to install. The more intricate the pattern the more costly it is to install. What price? A good quality glazed porcelain but smaller (150×600) wood plank tile range will cost around £25.00 per m2 inc VAT. Higher grade, larger format full bodied porcelain tiles will start from £37.00 but can easily exceed £60.00 per m2. The higher the price, the more choice in colour, size and texture you will have. Be aware than the larger the tile, the larger the manufacturing tolerance is in dimensional and surface regularity. Like with most purchases in life you usually get what you pay for so a far cheaper wood plank tile is highly likely to exhibit the full breadth of these tolerances which is most likely due to cheaper raw materials and less stringent quality control measures in manufacturing. For friendly advice, free estimates and help with selecting a suitable wood plank tile for you, contact us today.